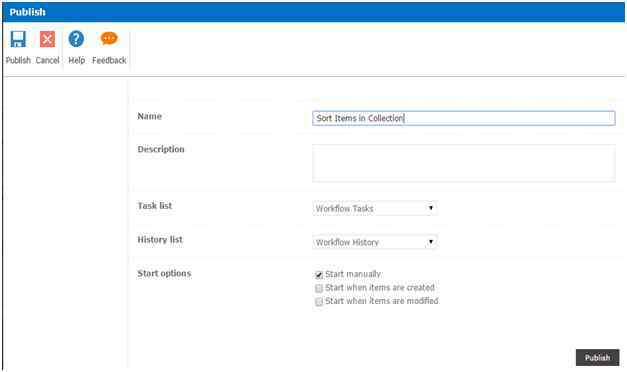 Welcome to an article on how to sort items in Collection in SharePoint 2013 and Office 365 using Nintex Workflows. This article will display the action “Sort Items in Collection” for all my readers. 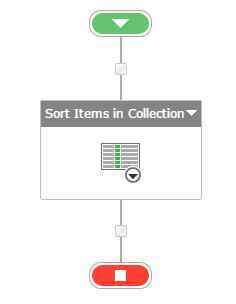 This action will help you to sort the items in a collection and generate a new collection with sorted values. Click on the List tab on the Top ribbon and click on Nintex Workflows. Add the action, “Sort Items in Collection” either by right click on the workflow or by dragging and dropping from the left toolbox. Target Collection: Choose the variable of a collection from where you want to sort the items. Direction: You can specify the sorting on how you want as in Ascending or Descending. Output: Select a collection variable to store the output of the sorted items. – Or you can start your workflow automatically when an item is created. So in this article we saw how to sort items in Collection in SharePoint 2013 and Office 365 using Nintex Workflows. This action sorts the item in a collection in specified direction and generates a new collection variable storing the sorted items.